Our culture is embodied in our apprenticeship program. Mikron is dedicated to training and developing the next generation of technical experts. Our apprentices regularly have access to state of the art equipment, master craftsman and world class instruction. Graduates often rank in the top of their apprenticeship classes. Your daily tasks are very varied. You make workpieces, tools, and components for the production and assembly of machine parts. As an all-rounder, your work involves turning, milling and drilling, applying the special training you’ve received on the operation of state-of-the-art high-tech machines. You monitor production and check the quality of the pieces produced. Multi-skilled mechanics create housings and molds – for instance, production parts used for extruding hot components and coating and machining solar cells. 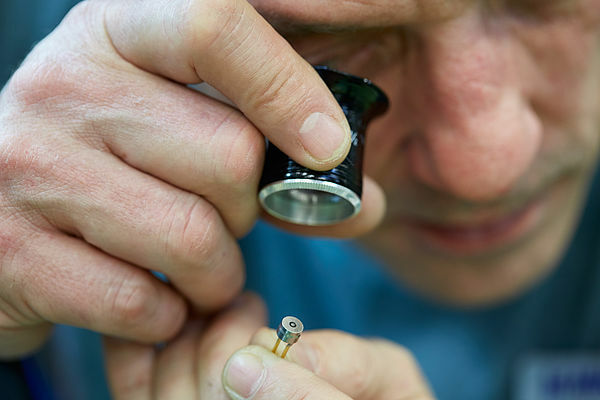 Multi-skilled mechanics provide support during the assembly process, very often on-site at customers’ premises, both in Switzerland and abroad. The workpieces that you produce are used by electronic and application engineers in the Automation segment. As a mechatronics technician, you are responsible for the assembly and maintenance of complex machines, installations and systems. You assemble electronic, mechanical, pneumatic and hydraulic components and install or connect these systems. You also verify the functionality of installations and connections and carry out quality checks. Not only will you be working in the workshop, but also at customers’ assembly sites. Working as a precision tool mechanic, you will use sophisticated 6-axis CNC grinding machines to produce both standard and special precision carbide tools. You will be responsible for installing and programming the grinding machines and will supervise the manufacturing processes. Your duties will also include conducting quality inspections of new and refaced workpieces. 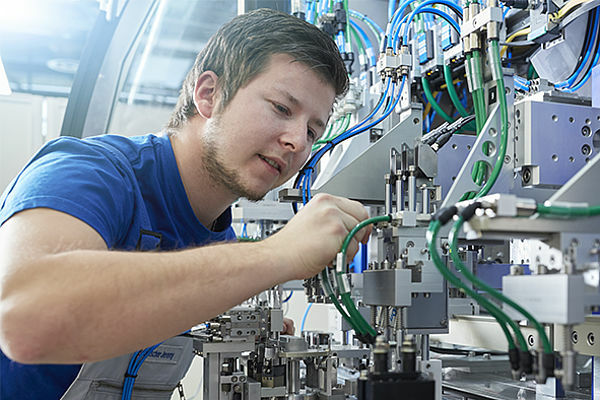 The theoretical and practical training phases will alternate between two-week periods of full-time instruction in Bavaria and six-week practical phases at the company providing on-the-job training. Additional courses will also be offered at the Winkler Training Center in Villingen-Schwenningen. The company providing your on-the-job training will organize and cover the costs of your attendance on the theory phases at the Jakob-Preh-Schule in Bavaria. It will, for example, cover your accommodation during the full-time instruction periods and your traveling expenses. Commercial training can introduce you to a variety of fascinating areas of work geared to your chosen vocation. As an industrial business management assistant, you will help the Sales team with customer support and assist the Purchasing department in the procurement of production materials. Work in the field of accounting also covers some interesting assignments such as preparing statistics, booking invoices and managing different accounts. If you qualify to work in an office management role, your duties will include recruitment and training management, appointment scheduling and visitor reception. You will also be acquainted with core accounting activities. As a technical product designer, you develop individual components, assemblies and complete systems on a computer. You will receive basic training in machining, control and electrical technology as well as joining and assembly techniques. Customers attach particular importance to collaborating with our design engineers in the product planning phase. You will be given free rein to unlock your creativity. Basic training in machining, control and electrical technology as well as joining and assembly techniques. 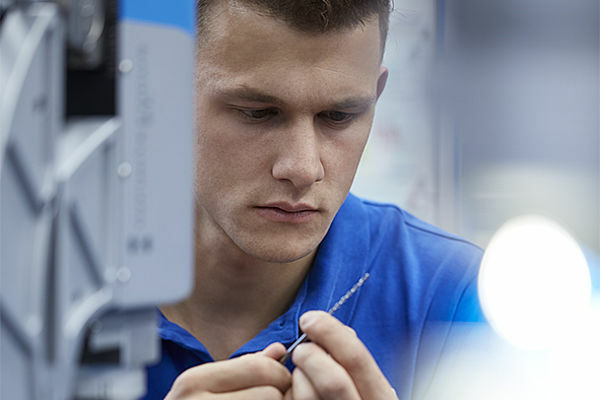 Technical product designer apprenticeships are offered at Mikron Machining only. As a warehouse logistics specialist, you are responsible for receiving goods, inspecting them, and storing them in the correct manner. You put together route plans and organize the loading and dispatch of goods. You will also help to optimize logistics processes and so familiarize yourself with the fundamentals of logistics workflows.